It's hard to believe it, but we are in week 7 of our Concert Series in the park. If you have not been able to attend yet, this just might be the week that you should. 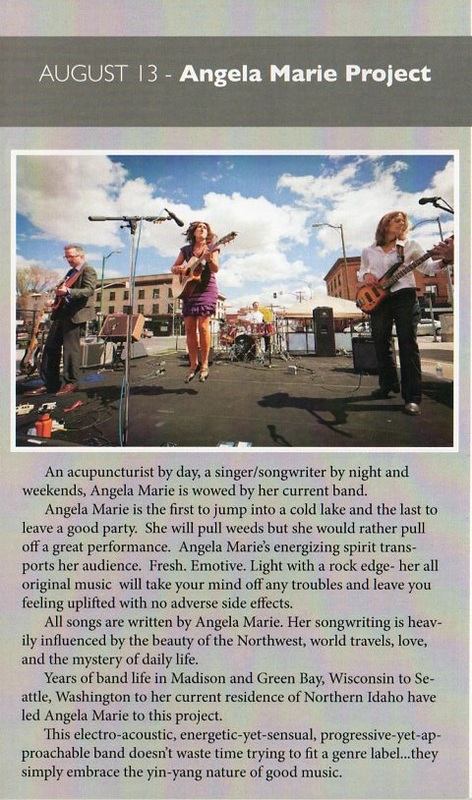 The Angela Marie Project will be on stage at 6pm this Thursday evening. She's gonna get us all whipped into shape with her somewhat eclectic brand of music. So, ask the Wife, Boyfriend, Mom, or your Parole Officer to meet you at Coeur d'Alene Park on Thursday evening.